EDC Wholesale announced that Rebekka Schneider has joined the company as a Regional Sales Representative. Rebekka brings over 5 years experience in the adult pleasure industry to this role and 15 years overall in sales. She began her career in retail and eventually moved on to distribution. 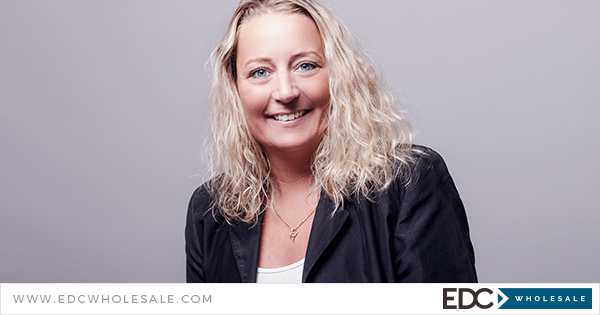 With a special focus to serve retailers in Germany, Austria, and Switzerland, Rebekka will work across the entire family of brands to ensure the EDC Wholesale house brands and third-party labels are connected to the retailers in this region. In her role, Rebekka will be responsible for visiting retailers and discussing product assortment, marketing tools, and training to ensure each retailer is meeting its full potential. She will assess each retailer’s unique situation and work to help grow their business with the EDC Wholesale assortment.